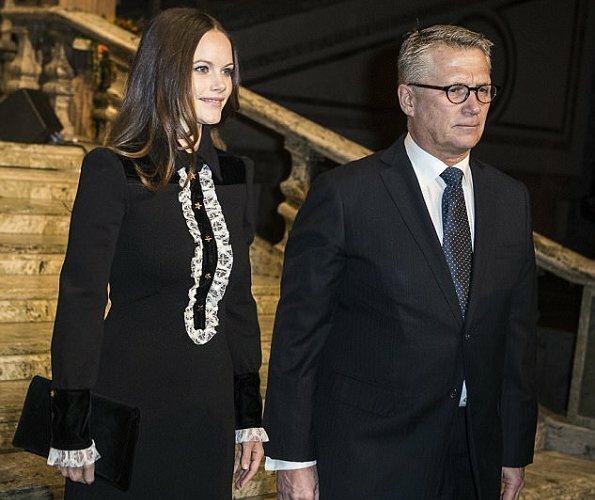 Yesterday, Princess Sofia and Princess Christina, Mrs. Magnuson attended Sophiahemmet's graduation ceremony held at Stockholm City Hall. Princess Sofia presented graduation brooches to the nurses who completed their education at Sophiahemmet University. Sophiahemmet University gave title of honorary PhD to Princess Christina. 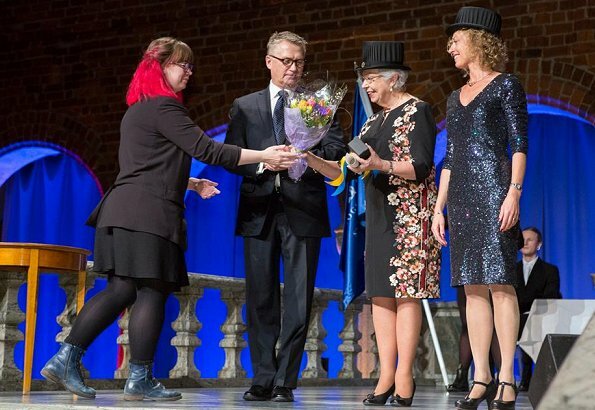 At the graduation ceremony, President of Sophiahemmet Lars Kihlström presented doctor hat, diploma and doctor ring to Princess Christina. 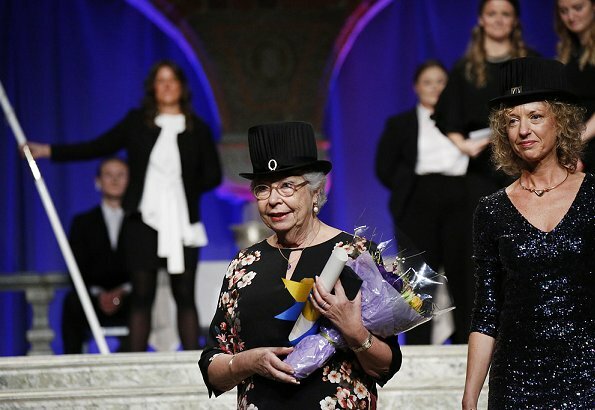 Princess Christina has been working for improvement of the university for more than 40 years. I like this one, very suitable to situation. A little bit dark pictures, but Sofia looks wonderful. How nice that they honnored princess Christina. Outfit that is quite suitable and appropriate. However im getting a little bit of Mary poppins. Never the least its better than the recent ones. I like the dress and she looks very nice but I wish she would get away from the governess look. Some colour would have been nice to break up all the black. Although I wonder if the dress code included wearing black??? No. The uniforme of the nurses is dark but she doesnt have to wear dark color to the event. She previously wore bright colors to this ceremony. Those dresses are just ceremony uniforms, at work they dress modern as any other nurses do. My student cap in nursing school looked like that, we looked like French maids. Needless to say, we voted that one out and got new ones. I like Sofia´s coat a lot (assuming it has a good length, which I cannot see in the picture), but her dress looks seriously old-fashioned to me. Also, that is just way too much black altogether, which - especially on a brunette - looks rather drepressing. Lovely honour for Princess Christina. I like Sofia's look - yes, it's a lot of black but I think it works. Both coat and dress and great. Princess Christina is really worth that!